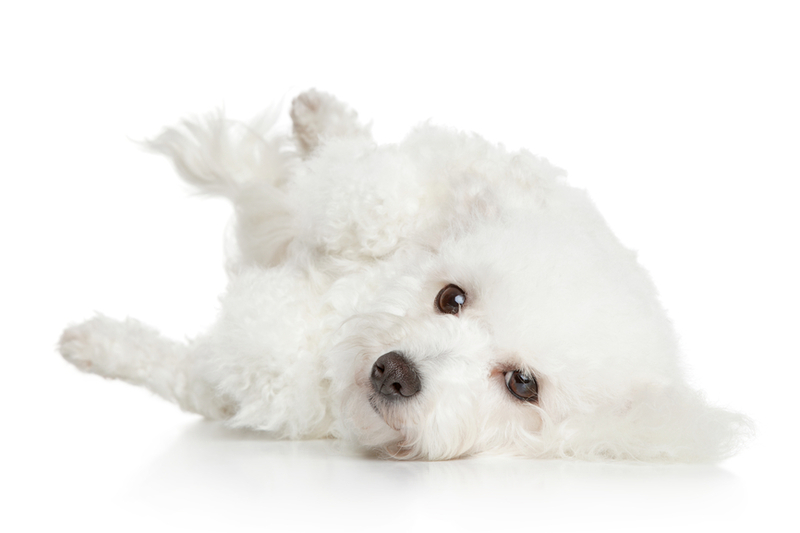 All About Bichon Frises - Feisty, Fun-loving and Frustrating to Train! All About Bichon Frises – Feisty, Fun-loving and Frustrating to Train! Don’t ever mistake Bichon Frises for just another dog breed. Feisty and spirited, the Bichon dog is a great family dog and a good choice for people with allergies or those living in a small home or apartment. If you have ever seen the Bichon Buzz or Blitz, you have probably ended up laughing until your sides hurt. The Bichon Buzz, specific to this dog breed, comes on suddenly and unexpectedly. A well behaved Bichon Frise dog will be part of everything that you do! Bichon Frises love their people and they love to be included in your activities. Gentle and affectionate, Bichons love to entertain their people. And if trained correctly, they will steal your heart and become a central figure in your family. This website is for you—the Bichon Frise owner or someone who is thinking about getting a Bichon Frise. It has comprehensive and factual information about the Bichon Frise Breed and impartial reviews of dog care products for Bichons. 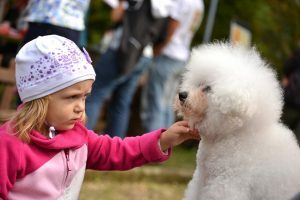 Whether you choose to adopt a Bichon puppy or you get your new puppy from a breeder, your sweet little puppy will be adorable and delightful, yet can also be very time consuming. Bichon Frise puppies are adorable little creatures who will win your heart in a minute! Getting organized so that you do things the right way, avoiding those frustrating moments, will help you enjoy your new puppy more. I’ll give you tips on what you need and what to do when you bring your new puppy home. Everything from what to have on hand when you first bring your puppy home, to what to feed him and when. And we’ll look at products like the best kind of crate for your puppy, and dog carriers that you can use to take her with you, when you go. Most Bichon Frises are pretty healthy little dogs. In fact, they are one of the dog breeds that have very few health problems. However, like any other dog, you can have other health issues arise. Since I have a background in health care, I understand the issues. And I’ll gladly share my knowledge with you. Training a Bichon Frise can be a bit challenging. These cute little white dogs do have a mind of their own. They need to be handled with gentleness, yet they also need to understand who is in charge. And it should NOT be your Bichon! There is a right way to train Bichon Frises and there is a wrong way. And it’s very easy to mess up and find that your cute little Bichon is now in charge of your household. Your Bichon has become the leader of your Pack! Learning how to handle your little bundle of joy (and frustration) will make the difference between an adorable well behaved little dog and a little white monster. If you don’t address Bichon Frise behavior problems early, they will quickly get out of hand. But training your Bichon Frise does not have to be a nightmare! I’ll show you how to make this easy and fun for both of you. My top recommendation is to use the gentle and effective methods taught by Doggy Dan. You can sample well over a hundred of his videos that teach you, step by step, how to train even the most stubborn dog. You’ll have access for 3 days for just $1. While Bichons do not have a lot of health problems, they do have a lot of allergies. With a little knowledge, you can avoid serious issues and keep allergic reactions to a minimum. Choosing a good diet for your Bichon is key to allergy control. And then your most common issue will probably be Bichon tear stains. They are very common and unsightly, but there are products to help and ways to get rid of those nasty tear stains. With Bichons, you can choose to groom them with an informal puppy cut or with a formal Bichon haircut, which is the style you see at dog shows. If you train your puppy well, she will be gentle and well behaved, even with small children. Of course all that white hair needs to be groomed and brushed. You will end up with a tangled mess if you neglect your Bichon Frise dog’s grooming. However, there are ways to make this less work for you and fun for both of you. You’ll find everything from how to trim your dog’s nails to how to take care of her teeth. Some dog care products help make your job easier. 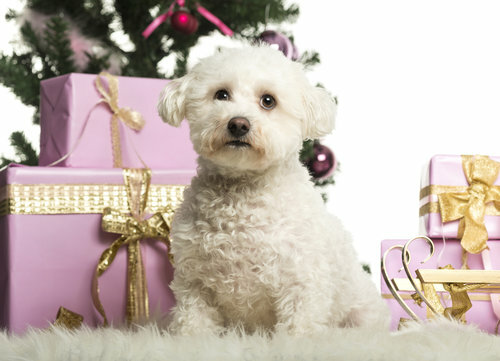 In fact, there are even some products made specifically for dogs like Bichon Frises. I’ll help you sort things out. Whether you have a purebred Bichon Frise or a Bichon Frise mix, you have chosen a very special dog. Come explore the special characteristics of this breed with me. And learn how to enjoy your new dog or puppy to the utmost. Whether you have a rescue dog, a new Bichon puppy or an older dog, you’ll find articles that will help you be a better pet parent who will enjoy your dog more.